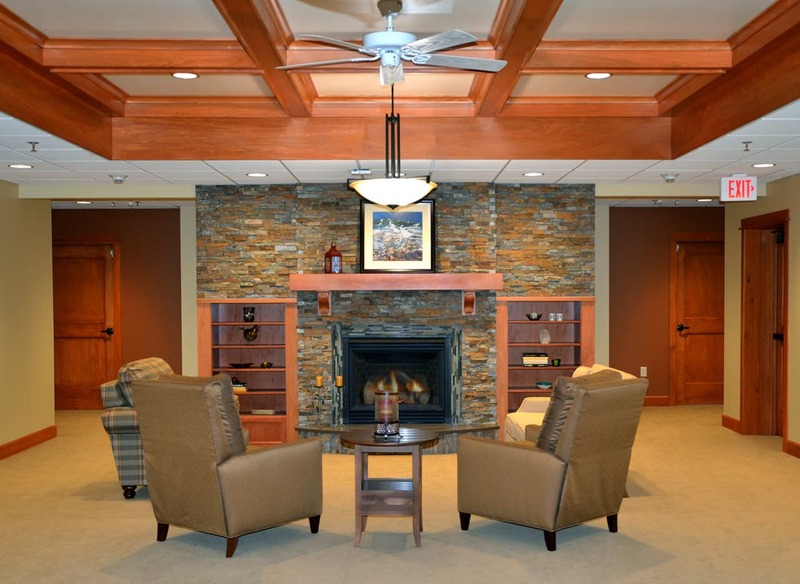 The Benedictine Health Center Marywood Assisted Living is the result of a master plan facilitated by DSGW Architects. 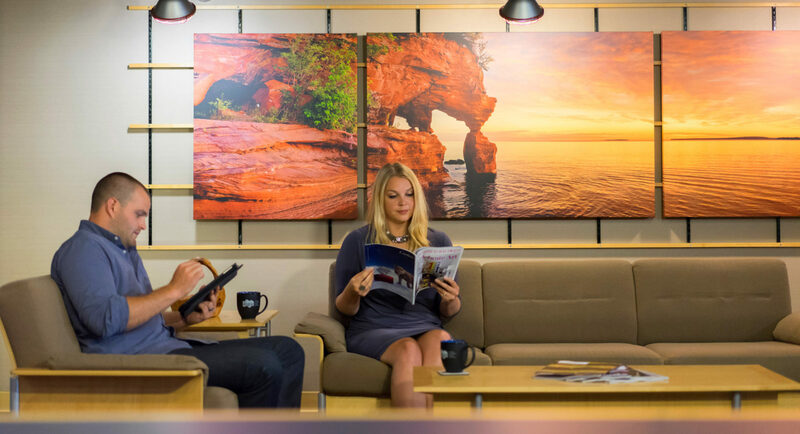 The point of this was to review the current thirty-year-old skilled nursing facility located on the College of St. Scholastica’s campus and operated by the Benedictine Health System. The review found that the needs and desires of seniors have drastically changed in the last 30 years; placing the services priorities on offering single patient rooms and assisted living care. 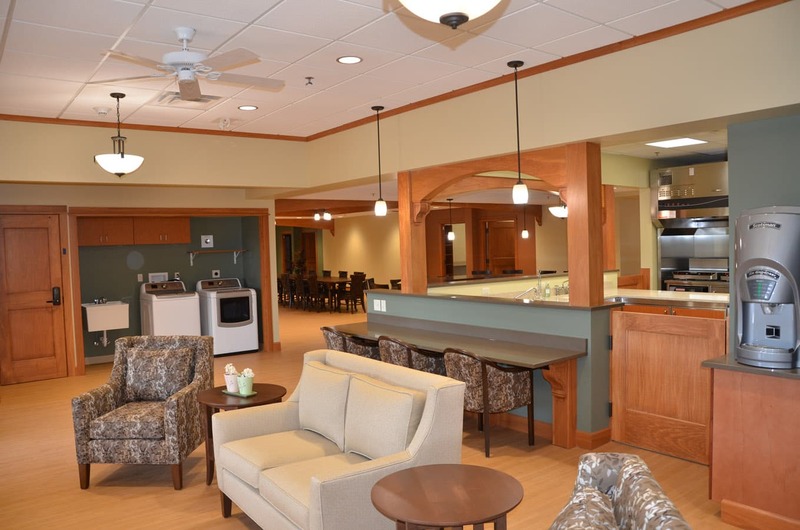 After careful analysis, Benedictine Health Center decided to build a new facility to offer enhanced assisted living services to those with increased medical needs and memory loss. 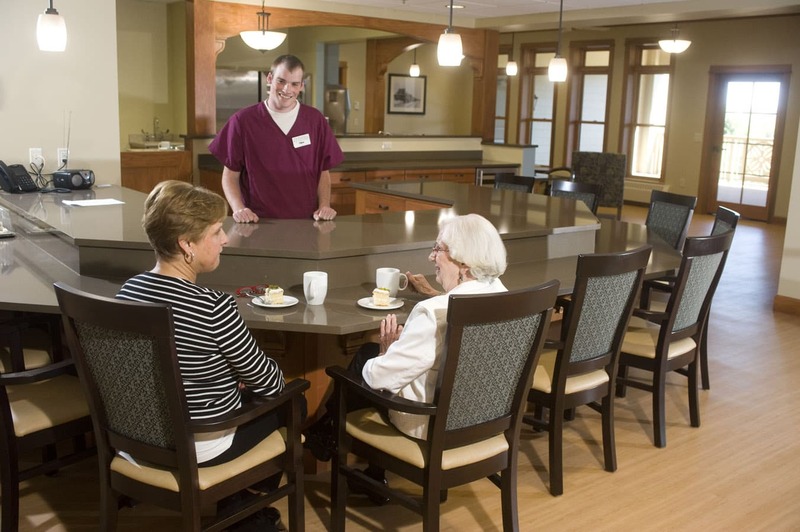 The new 40,000 sf “small house” model offers residents a high level of care and a living environment that encourages them to conduct daily living tasks. 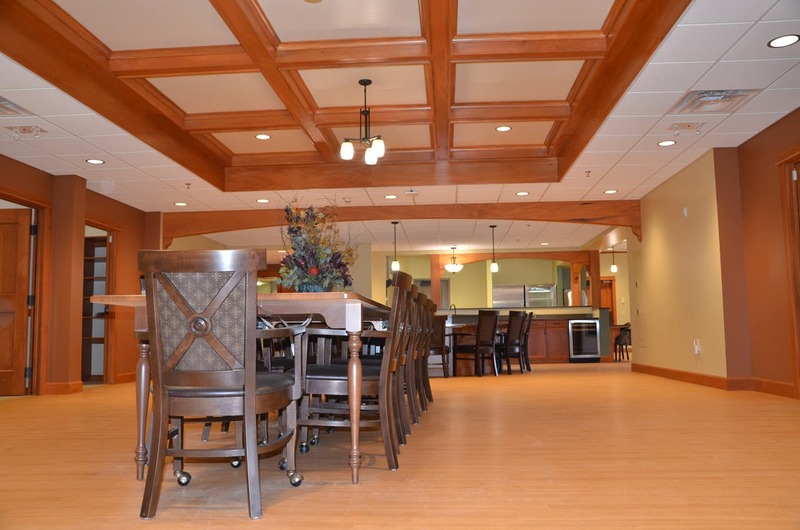 The 48-unit facility is divided into four separate homes; each house has up to 12 residents with communal living room, sunroom, den and kitchen. Marywood is connected to the rest of the Benedictine Health Center campus by skywalk to help achieve the goal of fully connected campus with improved facility, operations and service lines.